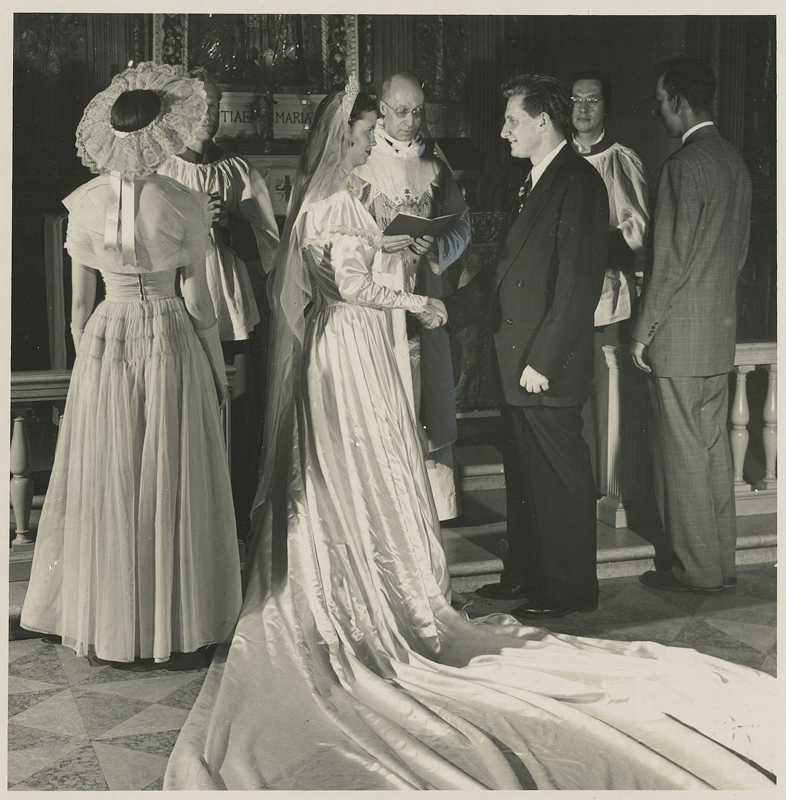 Click on an image for a larger view, then scroll over the image to see the caption. 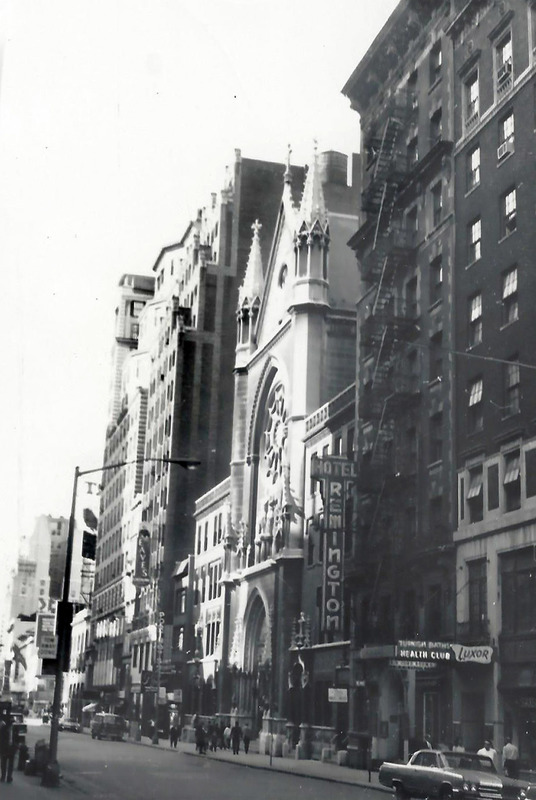 The Church of Saint Mary the Virgin was formerly located on 45th Street, where the Booth Theatre now stands. 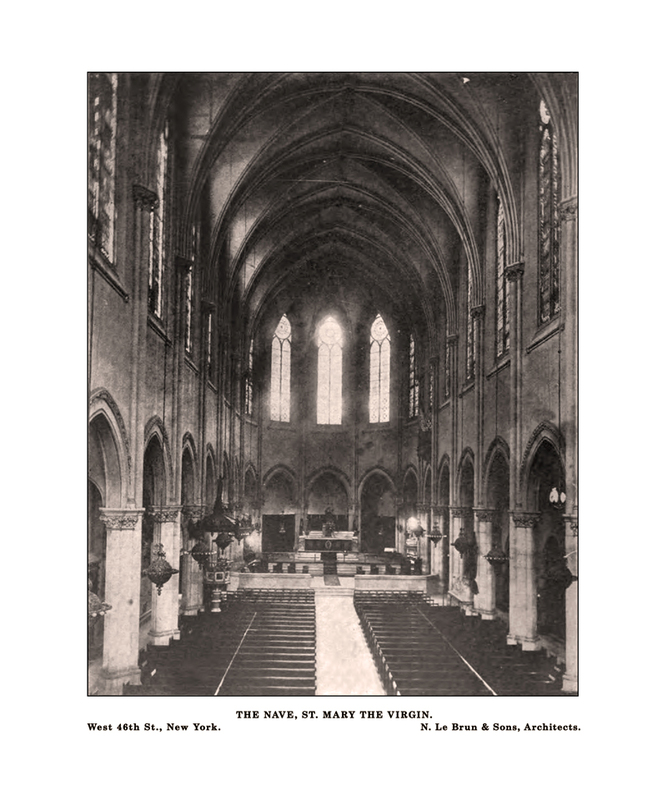 The interior of the "old Saint Mary's" on 45th Street. 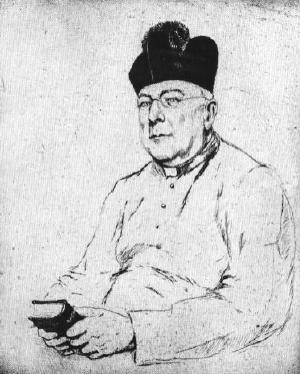 The Church was located there from 1870 to 1896. The Choir at "old Saint Mary's" on 45th Street. 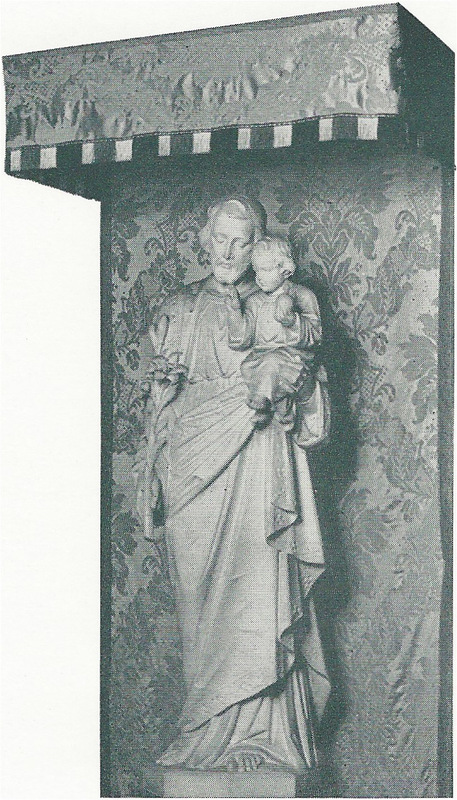 The marble altar and tabernacle were moved to the present building, but the gradine and reredos were not used in the "new Saint Mary's"
An architect's concept of the present Church of Saint Mary the Virgin. 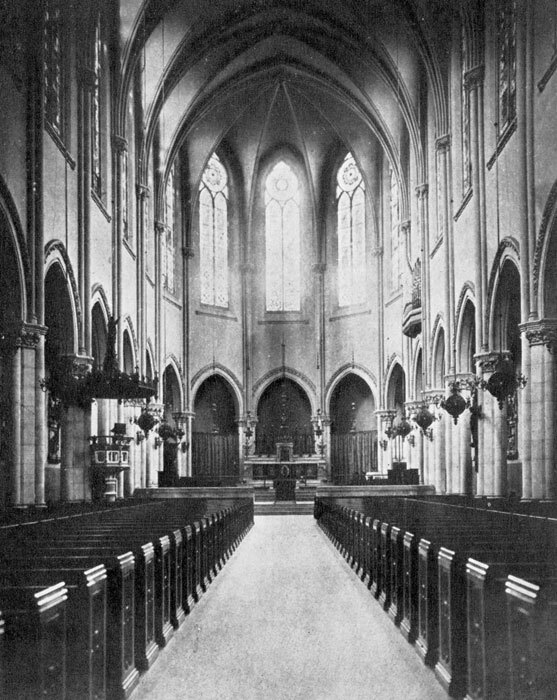 The interior of Saint Mary's in the 1890's. Note the gas chandeliers in the Nave. The church, parish building and Mission House were originally powered solely by gas. 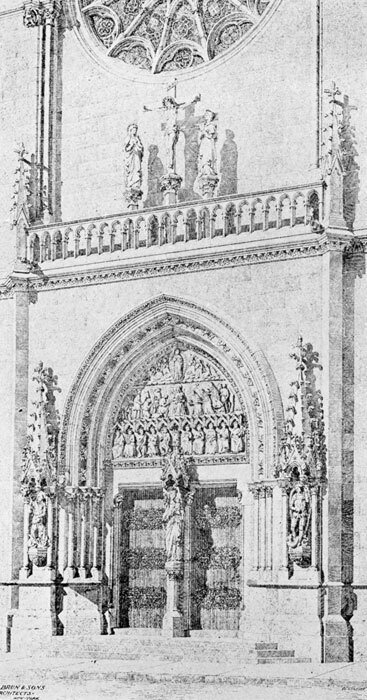 The front entrance to Saint Mary's in the late 1800s. 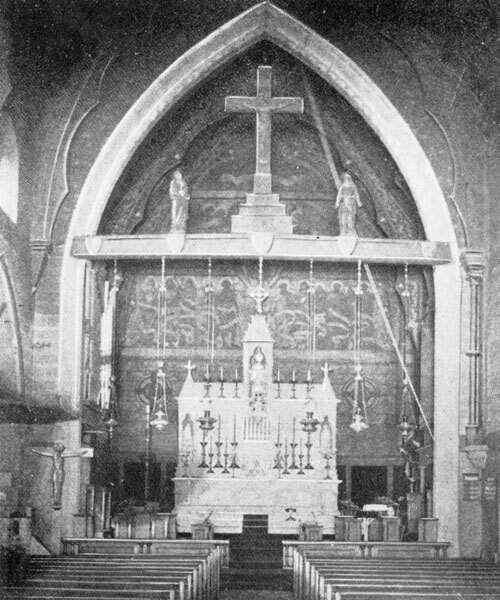 The Nave of Saint Mary's in the 1890s. The Altar in Saint Joseph's Hall. 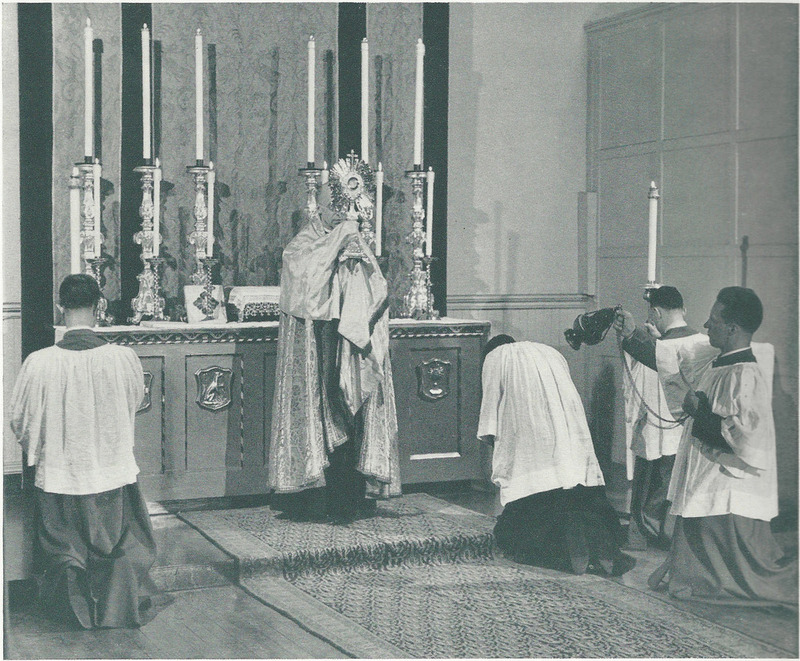 Baptism at Saint Mary's in the early 1950s, with a Sister from the Sisterhood of the Holy Nativity participating. 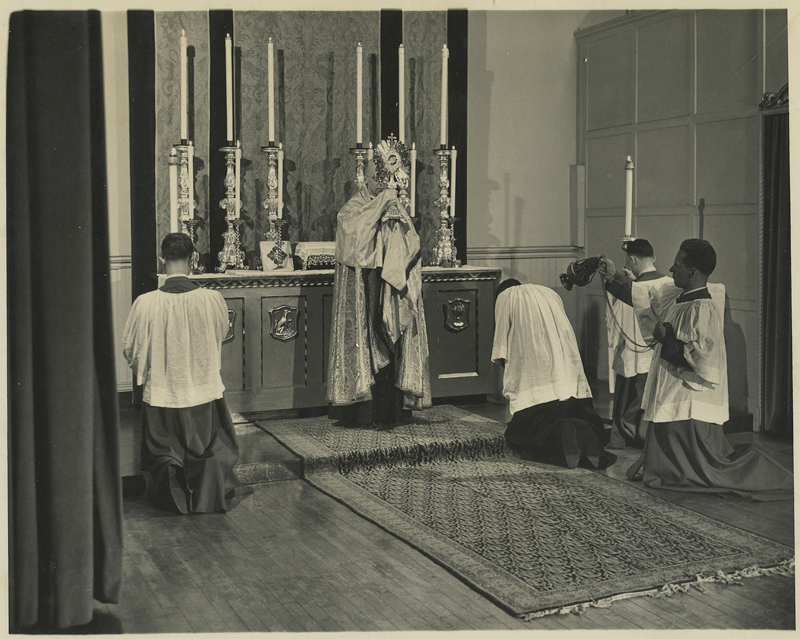 Benediction of the Blessed Sacrament in Saint Joseph's Chapel in the 1940s. 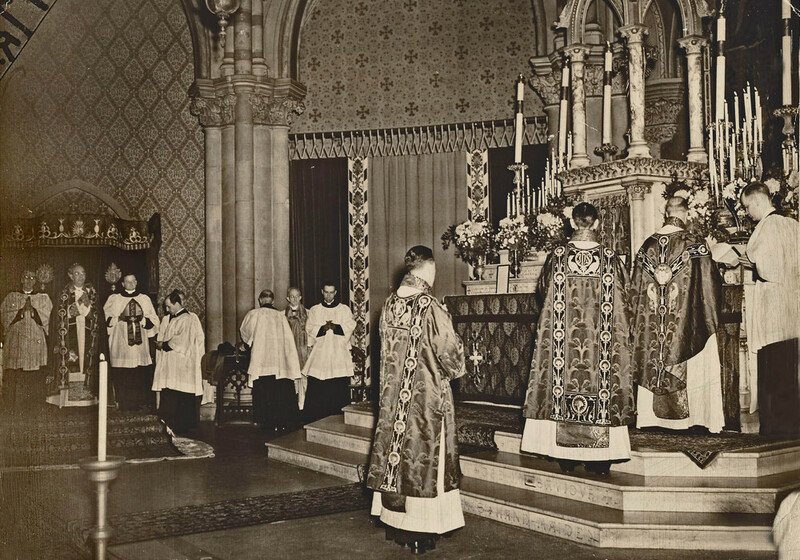 Benediction of the Blessed Sacrament in Saint Joseph's Hall in the 1940s. The exterior of Saint Mary's in the 1970s.